We expand gaming accesories offer with brand Marvo. Marvo was founded in 2010. Its popularity is growing. Marvo brand tries to be creative, immediately react to market developments. And of course provide perfect service for customers. Result is modern, design and functional products which comply every customer. 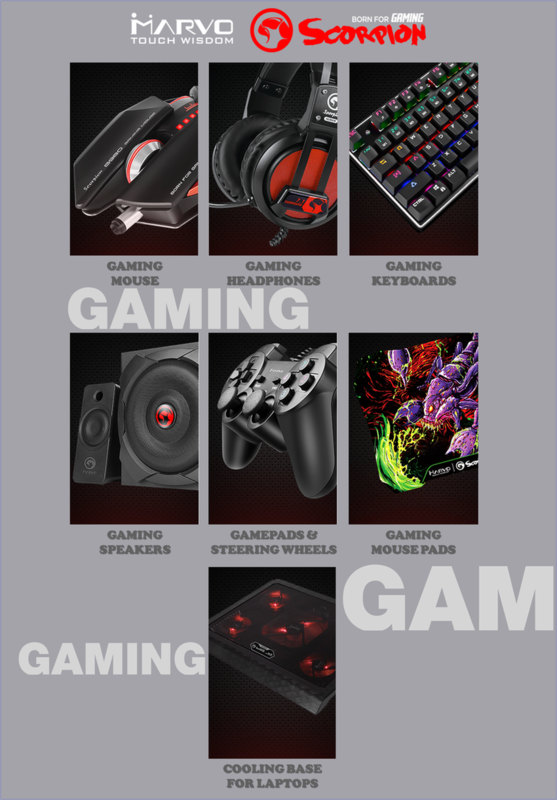 Thanks to Marvo, we can offer you gaming accesories from many brands for different prices.